Some of us haven’t heard about the incredible results of infrared sauna treatments. Today the safe, side-effect free infrared saunas are commonly used by holistic practitioners and spas around the world. In this post, you’ll discover about the vast variety of health conditions that can be dramatically improved through infrared sauna treatments. What are its proven health benefits? 1 What is an Infrared Sauna (Compared to a Regular sauna)? 3 How Much do Infrared Home Saunas Cost? What is an Infrared Sauna (Compared to a Regular sauna)? Infrared saunas were invented about 100 years ago by Dr. John Harvey Kelogg, but have come a long way since. Infrared saunas heat your body from the inside out (like a microwave) instead of just the outside (like a griller). Infrared rays (the invisible part of the sun’s spectrum) penetrate deep into your body (up to 3-4 cm deep), all the way to your muscles, nerves, and bones – without heating the air around you. Your body temperature increases, yet the light has no effect on your surrounding environment and you can breathe easily and stay completely comfortable. Meanwhile, your blood circulation increases, and results with heavy sweating (detox), a metabolism boost and anti-inflammation processes. 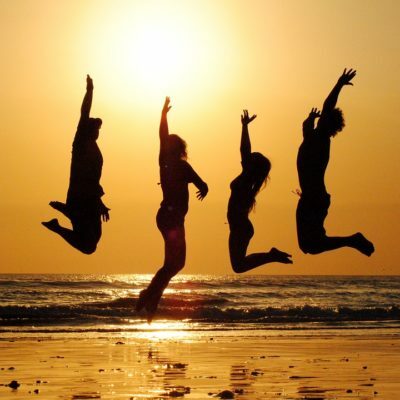 Basically, you get all the benefits of sunlight therapy without the harmful UV rays. 2. Skin anti-aging and skin health – collagen increase, fine lines and wrinkles reduction (study), skin healing. Note: this list is just scratching the surface. There’s much more research you can find on other health benefits such as cancer, brain injuries, stroke prevention, depression and more. There are thousands of testimonials easily found on forums, personal blogs, and discussion boards. Tracey Black, author and wellness educator at DontMessWithMama.com has purchased her infrared sauna to help her husband, suffering from chronic back and joint pain. In just a couple of sessions, my husband noticed immediate results. He has low back and joint pain, and he said he felt pain relief pretty quickly. He started off at 130 degrees for 5 minutes, and worked his way up to 150 degrees for 30 minutes. He’s been using it consistently to help with his back pain – and now he can’t imagine life without it. The heat from the sauna and the sweating have been instrumental in helping him to get through the winter here in San Diego, which is usually a time when his joints and low back pain are at their worst. He sat in the sauna for 30 minutes, and said after he was done he felt like a new man. He didn’t feel sick at all and actually felt well enough to go to work. He had a headache, body aches, a stuffy nose and a mild cough. When he emerged from the sauna, he said he felt relief from most of the symptoms. Sarah Wilson, author of SarahWilson.com has tried an infrared sauna treatment to relieve lymphatic issues and joint pain from toxin build-up. Amazingly, she has experienced dramatic relief from the first treatment. I’ve done it a number of times since, and it’s made a HUGE difference. I get a lot of lymphatic blockage and it bloats the right side of my body and my face. I also get joint pain from toxin build-up…and it all just… goes…. after a session in one of these. I can go in “thyroidy” and come out calm, enlivened. In her well-researched post about infrared sauna benefits, Kelly from primallyinspired.com shared her story about her chronic neck pain caused by a car accident. For 10 years she has tried everything she could think of to end the chronic, nagging pain, only to have it come back after each treatment. After my first session I was hooked. Just three sessions a week for 3 months and my chronic neck pain was finally gone…and didn’t return. This has led her to buy her own home infrared sauna. Since then she has noticed her husband and her sleep deeper, her hair getting thicker and growing faster, her skin becoming “baby soft” with reduced fine lines, cellulite reduction and much more. You can see her full, amazing story HERE. In the same post by Kelly, I noticed an interesting comment from one of her readers, Peter. Peter has shared his experience with infrared sauna treatments for dealing with Multiple Sclerosis. I have been using my Infrared Sauna since 2005 when I was diagnosed with MS. It has been my greatest treatment regime for battling my MS. By detoxing my body I have given my body a fighting chance to minimize the effects of my MS. My balance has improved greatly, the pain nearly unnoticeable and the fog has cleared up. The greatest measure of the benefits of the infrared sauna is many of my elisions have healed over and it is seen in the progression of my MRI’s …. No side effect the healing of the body …. Alina Gonzales from Byrdie.co.uk has decided to try an infrared sauna pod to see if all the claims are true. After a one-time 40 minute treatment, she was hooked. After one 40-minute session, I am a full-on convert, devotee, groupie fangirl of the therapy that is infrared sauna pods. I am a sauna pod junkie. When I emerged from the sauna pod room, one of the front desk people saw me and exclaimed, “Oh you got “the glow!’” I wasn’t near a mirror yet, and took what he said with a grain of salt. Until I went into the bathroom and saw my reflection, and my skin truly was glowing. Not oily, not sweaty, straight-up backstage model glowing…I continued to notice “the glow” for the next few days, and have already booked my next session… Not only did I see noticeable skin differences after one session, it was the most relaxing 40 minutes I’ve had since…probably being in the womb. See her full story (and an explanation about infrared sauna pods) – HERE. I have a FAR infrared sauna and use daily… I had a bug bite on my arm that got infected and has been scaly/not healing , turned to some type of fungal infection for months. In 2 weeks time it was 90% healed. All skin seems to be feeling softer and looking better. With all the toxins in everything these days, if it helps to prevent disease it will be well worth it. I had also been experiencing chronic shoulder pain for over a year – too much typing for extended periods. That too is 90% gone. Lauren, author of EmpoweredSustanance.com has shared her 3-month experience with infrared sauna treatments. She has invested in her own infrared sauna to improve her low thyroid function, high blood sugar, fungal infections and for heavy metal detox. Read her full story and great research on the subject HERE. 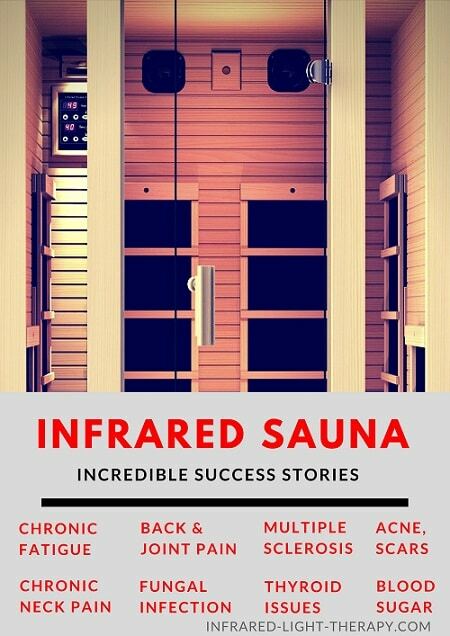 These stories and many more you can find with some research, have convinced me to save up for my own 2-person infrared sauna. Until I am able to afford it, I’ll “settle” on my Amethyst Biomat, which has done wonders for me and my family’s health and well-being (but that’s a story for another post…coming soon). Carly Barrett shared how an infrared sauna has helped her battle against psoriatic arthritis – more than all the massages, acupuncture, physiotherapy and ultrasound treatment she has ever done. I know it sounds slightly crazy, and I would have a hard time believing this if I didn’t experience it first-hand, but just one 40 minute session in the sauna gave me relief from my muscle pain/stiffness. That’s right. After endless hours and money spent on massages, acupuncture, physiotherapy, ultrasound, TENS, and more, I was able to find some semblance of relief in just 40 minutes of sitting in a wooden box and sweating like I had never sweat before. 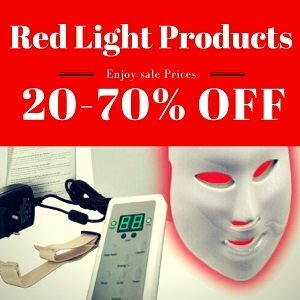 👉 Find other, less costly infrared home devices for Arthritis. 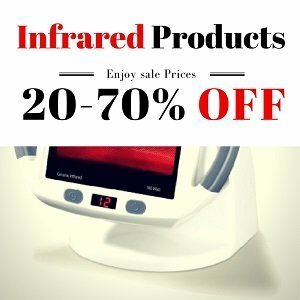 How Much do Infrared Home Saunas Cost? The health benefits of regular infrared sauna sessions range from detox to weight loss to pain relief to skin healing, and the list goes on and on. In this infrared sauna results post, you’ve found 7 random yet highly encouraging success stories by people who have changed their life through infrared therapy treatments. I firmly believe that anyone suffering from chronic pain, skin issues, thyroid conditions, cardiovascular conditions, anxiety, diabetes, and cancer – should have access to gentle radiant heat through his own infrared sauna. Note: Here’s how to find the best infrared sauna spa facility – near you. What about you? What’s your experience with infrared therapy? Let me know in the comments below. Absolutely life changing and incredible. There is not one person who should not try this. I agree mostly with the “glow” on skin it gives you. You know that like celebrity glow that you think you can’t achieve. They clean your skin and give you a glow like this. Amazing. Feel so good if you do in morning. Literally the best feeling during and after you do 30 min session. I just wish more people would try this out. You can literally feel your body positively responding during treatment. Your site posted this but nothing follows…. Thanks for the heads up…I’ve fixed it now! I had an accident where I broke a lot of bones (both feet, a leg, my entire right forearm–there are a lot of bones in there) that required several surgeries in different areas of my body (I broke several bones that did not require surgery). In the months following my accident, I could not walk or even get up to use crutches. It took months for me to be able to learn to walk again using assistive devices. I faced severe and constant pain in my left foot/leg area where the breaks were the most severe –I have a plate and several screws in that foot. I was doing intense physical therapy, pilates, and walking for recovery, which caused pain so intense that I was unable to walk at times, and the times that I was able to walk, I was mostly limping. It was extremely painful. At the pilates studio I go to, they had an infrared sauna for me to use, and it was a game changer! I can literally go in there with my foot throbbing and walk out being able to walk without a limp. I cannot express what a welcomed change this has been. I thought that I would live in this constant pain, and I just had to learn how to deal with it which was FALSE. I purchased my own infrared sauna, and it has helped to increase my recovery and pain. I HIGHLY recommend this to anyone who is suffering from chronic pain and any injury. NOTHING —even prescription pain medications, essential oils, epsom salt baths, etc. has helped as much as the infrared sauna has helped me. I’m so thankful to have learned about the infrared sauna and experience its benefits.